> Fish is an important source of food for people. It also represents an important sector of the economy: the estimated annual landed value of fish globally is around USD 90 billion. However, in many of the world’s maritime regions, perpetual overfishing is putting stocks at risk. 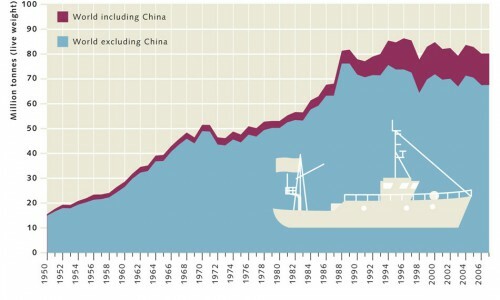 the decline and in some cases the depletion of global fish stocks. Overexploitation particularly affects long-lived fish species such as redfish (Sebastes marinus) which take several years to reach maturity and begin spawning. In extreme cases, it may even lead to the depletion of the stock. For example, stocks of cod in the Northwest Atlantic off the United States coast have collapsed after years of overfishing. 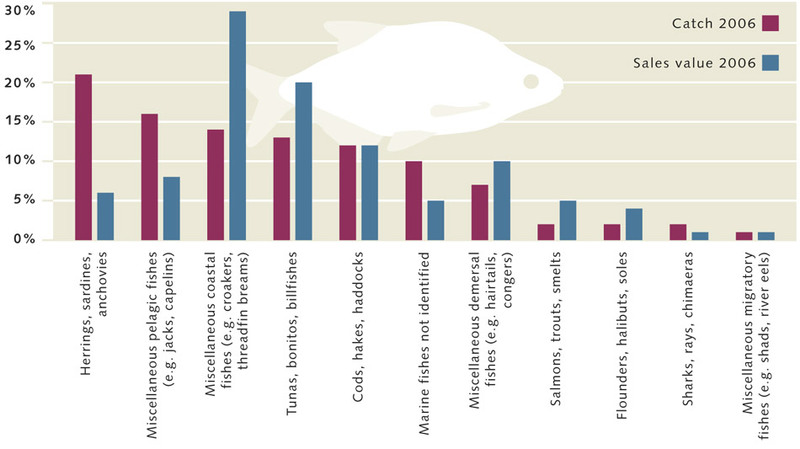 6.1 > The example of North Sea cod shows how a fish stock collapses (i.e. becomes depleted) if there are no longer enough mature fish (spawning stock, green) available to produce offspring. 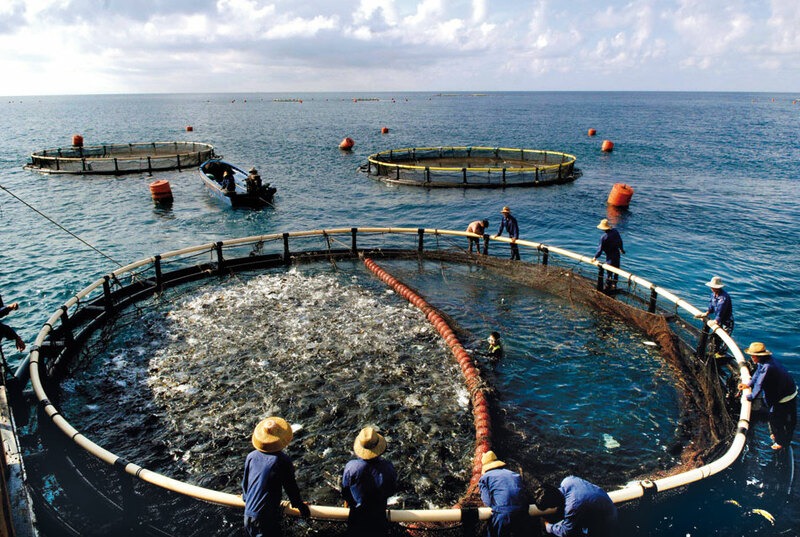 6.2 > Aquaculture is a booming industry today and fish are being farmed on a large scale, as seen here on the Chinese island of Hainan. However, fish farms do not necessarily help to conserve wild fish stocks as they require large quantities of fish meal or wild-caught forage fish for feed. 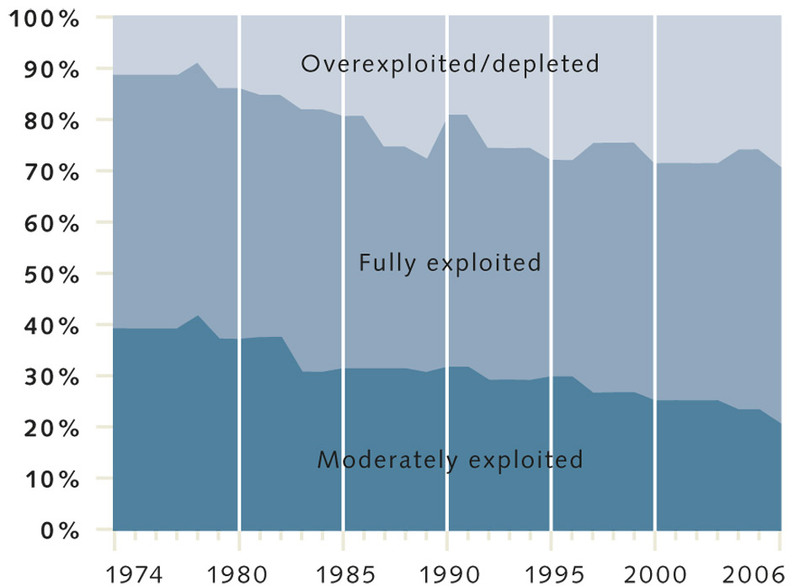 6.8 > The use intensity of commercially relevant fish stocks has increased significantly worldwide. 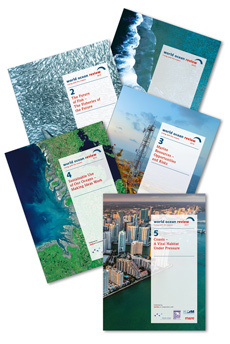 WOR 2 - What does overfishing mean? if it is being exploited above a level that is believed to be sustainable in the long term, evident from the steady decline of the stock. A stock is said to be depleted if catches are well below historical levels, irrespective of the amount of fishing effort exerted. 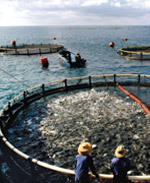 A stock is said to be recovering if catches are again increasing after having been depleted.